The project started off by acoustically recording 21 tine actuations from a disassembled music box mechanism placed on a wooden sounding board using both conventional condenser and contact microphones. The sound of the clockwork motor and air brake mechanisms was also captured. 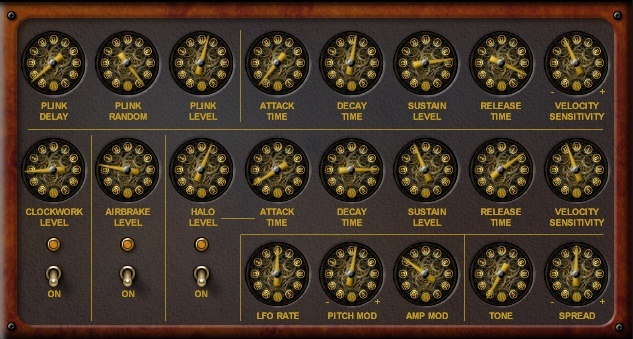 A synthesized halo effect was created to blend with the tines by capturing several beating sine waves from a 1960’s tube based dual tone generator which were fed through the filter stages of a Minimoog with the filter in near resonance.